As Kali Linux 2017 had some bugs, the offensive security, the team who maintain the Kali Linux OS released a new version of Kali Linux with lots of tool updates. It also optimized the Kali Linux for smooth performance. 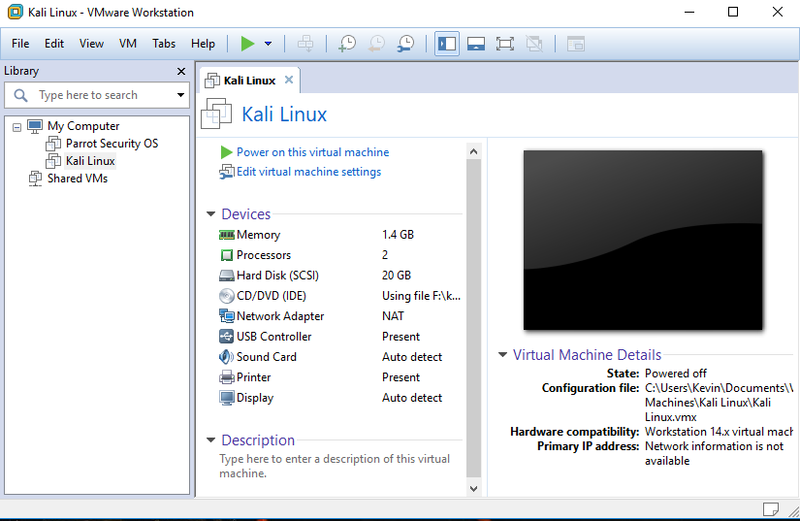 Here this is a complete beginner guide on installing Kali Linux on Vmware Workstation Pro 14. It will help you to start your hacking journey with Kali Linux. If you are running an older version of Vmware Workstation, I suggest you upgrade it to the latest version. Maximum people who want to learn Ethical Hacking are students and therefore some of them have only one PC and they do everything with it. So it'll be problematic if you are a student and you have only one PC because Kali Linux doesn't provide entertainment things and other common things that we use in Windows operating systems. So it is recommended to use Kali Linux on Vmware Workstation so that you can run other operating systems as well on your computer. Do check the system requirements given below which are recommended by experts for smooth running. The first step is downloading Kali Linux from its official site. 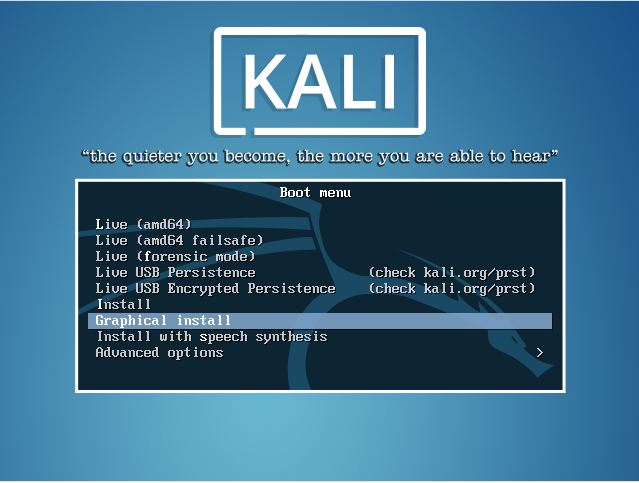 Download the Kali Linux Official OS from here. You can download the light versions also. Light version means they contain only necessary tools and files. Therefore download the full version. It'll be helpful for you. After downloading the ISO file. Choose a drive which is minimum 20 GB free. 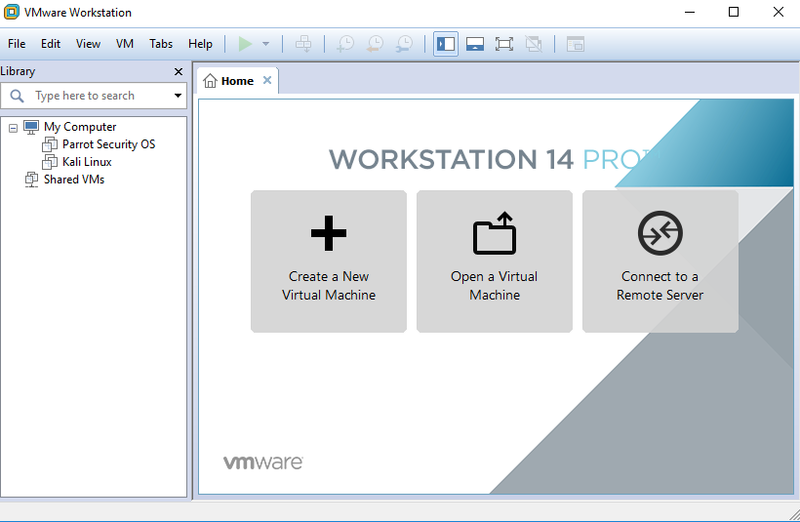 Now install Vmware Workstation Pro and start it. 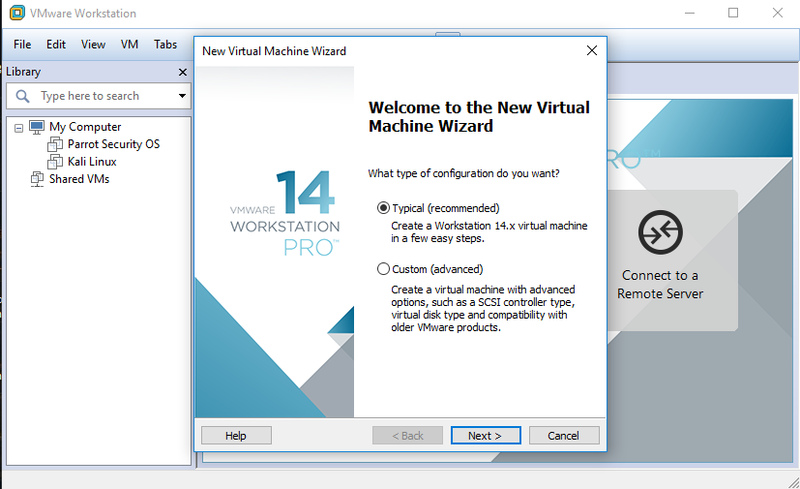 Now click on Create a New Virtual Machine. 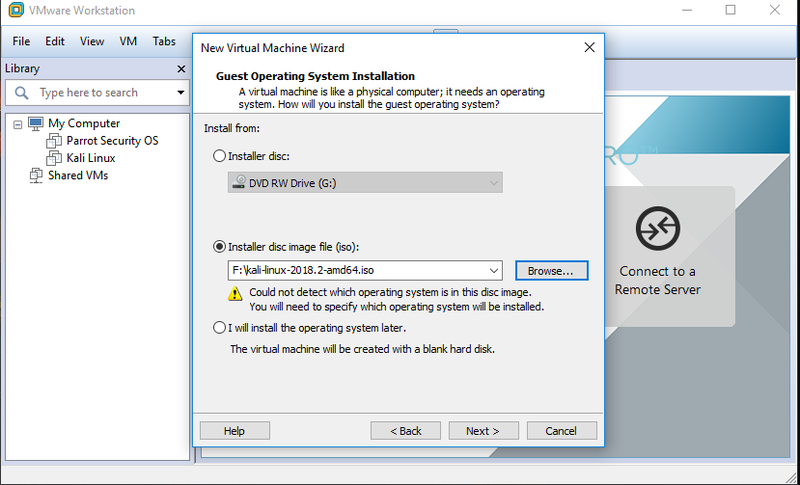 Here New virtual machine wizard will open. There is two option, typical and custom. If you are a beginner then choose the typical option because it'll be easier for you. Here we will go with the default and recommended option i.e typical. Select the Typical and click on the Next. In this new window select installation media source i.e the ISO file you downloaded. In the case of other operating systems, Vmware automatically detects the ISO file but in the case of Kali Linux it doesn't recognize the ISO and you will see a warning with a yellow triangle. Don't worry, just ignore the warning and click on the Next. In this section, you will be asked to choose the Guest Operating System. Select it as Linux and the version as Debian 9.x 64 bit or Debian 9.x depending on your Operating system. 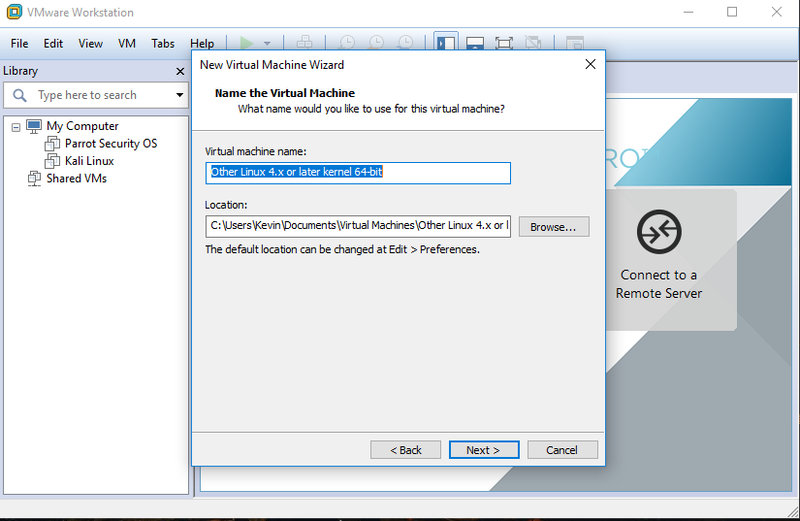 In the next dialog box, it'll ask you to enter the name of the virtual machine. You can enter any name you want. you can also change the directory where you want the machine to install. 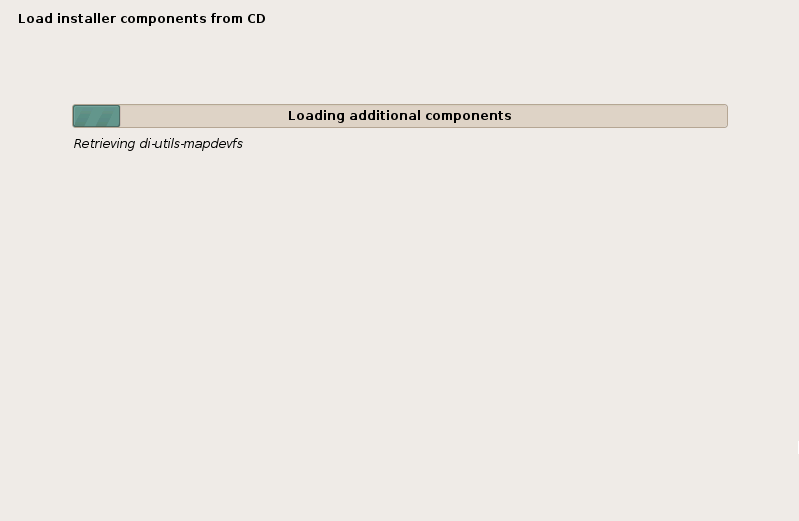 By default, it is set to install in C drive/documents folder. Leave it to default if you don't want to change it. Here it will ask you about how much space you want to give to the machine. By default, the maximum disk space is 20 GB. You can change the value. 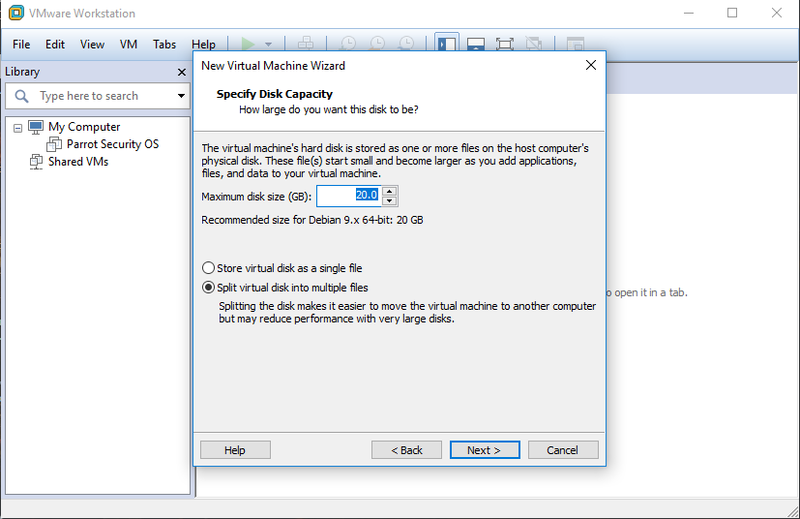 If your disk space is very low then you can minimize or maximize the disk size. If you are not planning to install heavy software then it'll work fine with 20GB space. 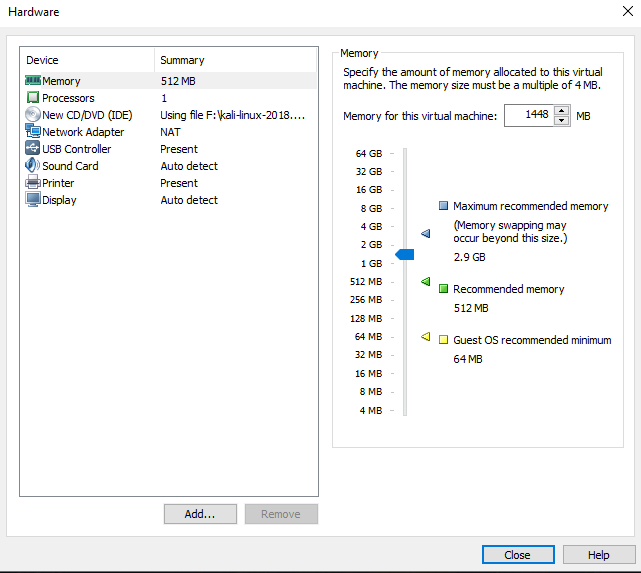 in the lower section, you will find two options asking whether you want to store the system files in a single file or splitting into multiple files. The second option is the default option. It says that If you specify the disk size 40 GB, it will not block all 40 GB at once. The size will start growing depending on installing software. It is recommended to choose the second option. This is the last dialogue box. It shows all details you configured in previous dialogue boxes. Normally customizing hardware here will help the installation process finishing faster. 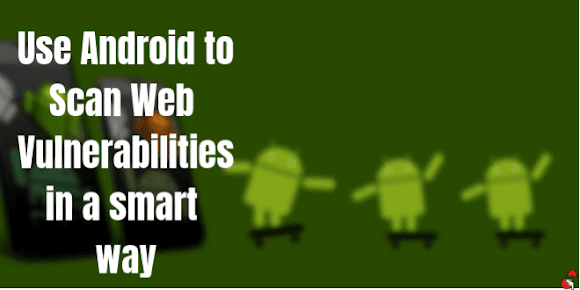 It is recommended that if you have sufficient RAM and CPU., increase them to get better performance. To customize the hardware click on Customize Hardware. It will open a Menu with a lot of options. increase or decrease the RAM using the slider. 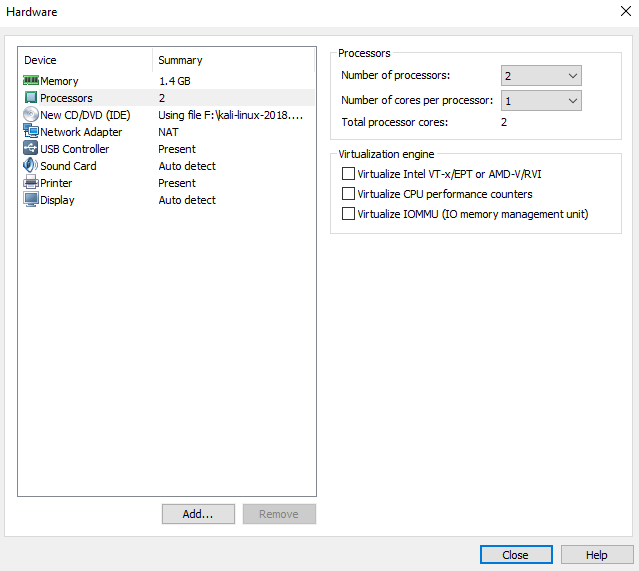 To increase the CPU change the values of processors and cores and close the menu and click on finish to go to the next step. 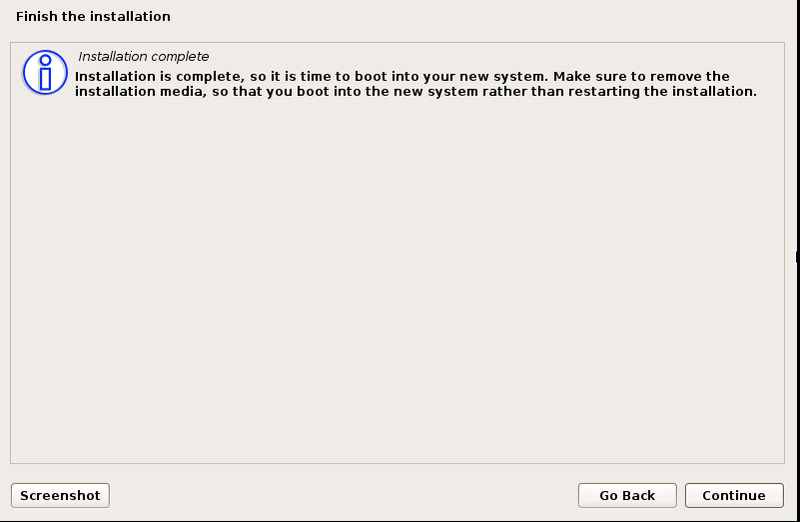 In the Boot menu you will see a lot of options but among them select the 'Graphical Install' option. In this dialogue box, you have to select the language you normally use. The default language is English but you can select your own. In this dialogue box, you can choose your location. Later it will be used to set the time zone in your Operating system. Now click on continue. 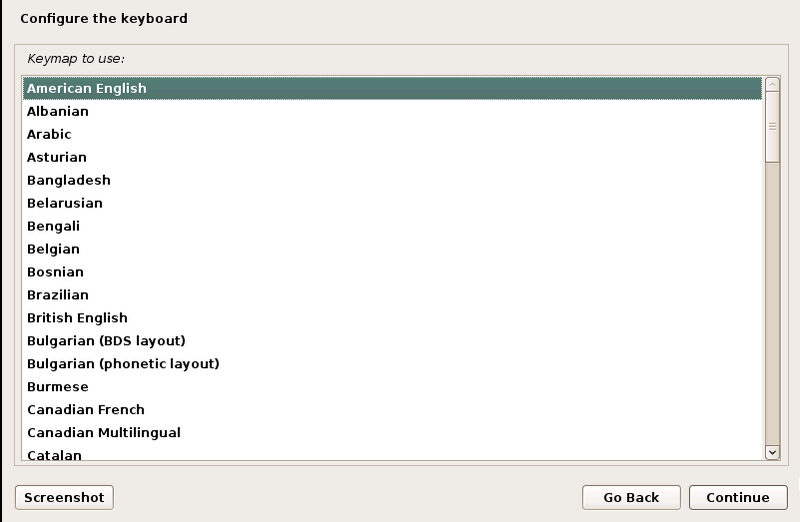 Here select the Keyboard layout for your machine and click on continue. The default is American English. After clicking continue it will load the necessary components from the ISO file to install the Operating system which is the next step. 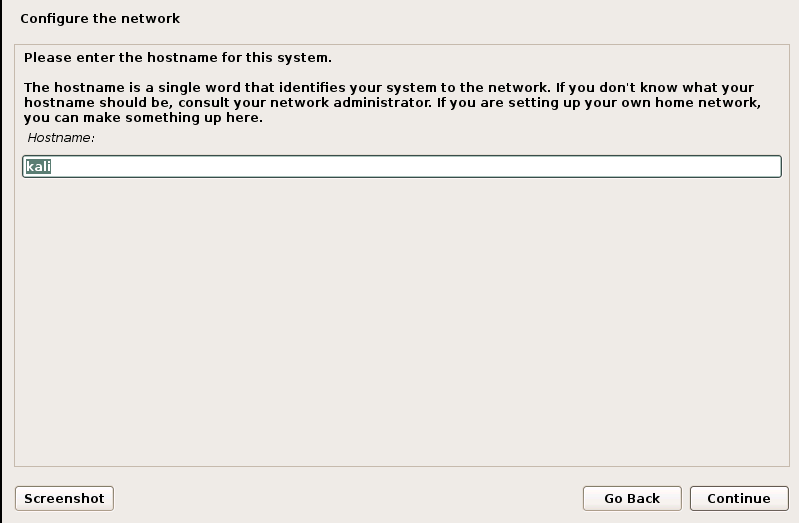 Here, In this dialogue box, you will be asked to enter a hostname of your Network. 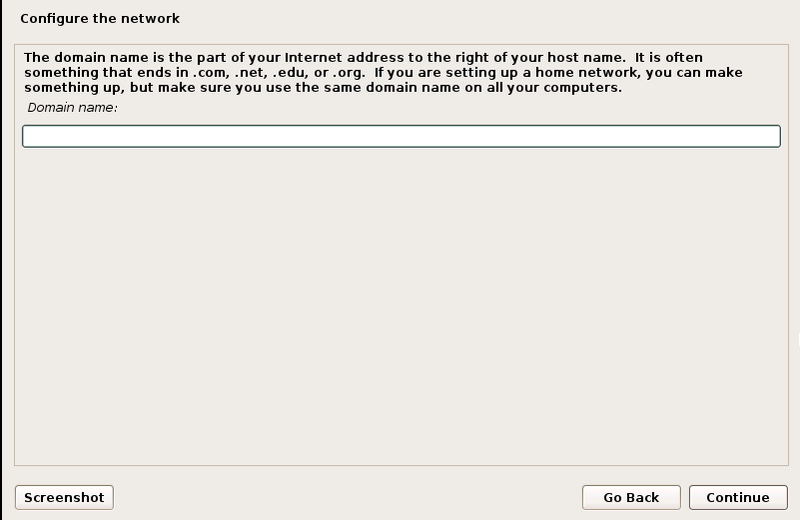 As it is a home Network, you can enter any name. Enter anything and click on continue. In the next dialogue box, you will be asked to set up the domain name. Enter any domain name like crackit.com and click on continue. If you are not sure what to do, leave it blank and click on continue. 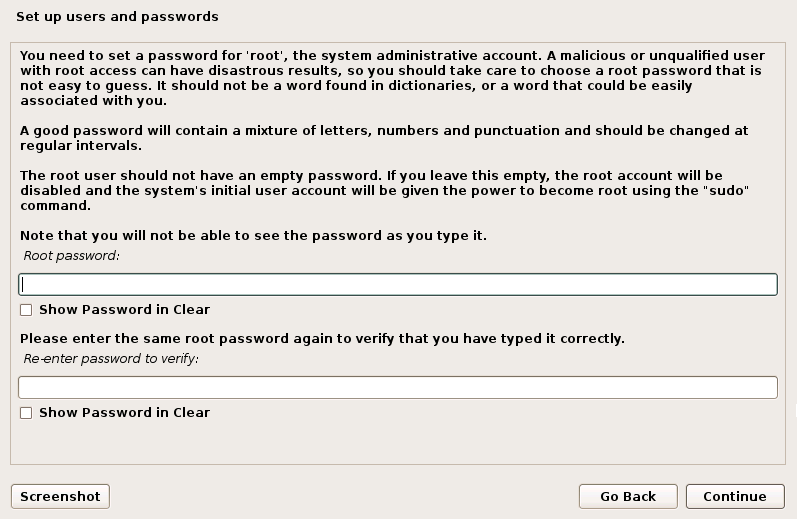 Here set a password for your root account. This is the password you require to log in the OS after completing the installation process. After login, you can create other accounts. The most important thing is the username must be 'root'. You can't log in to your machine with other usernames. This is the default username but nobody knows why. Here you will be asked to select your time zone on the basis of the location you've chosen before. Enter a time zone and click on continue. In this dialogue box, you will be asked to partition the disk but it will be helpful for you if choose the default option i.e. Guided-use entire disk. Now click on continue. 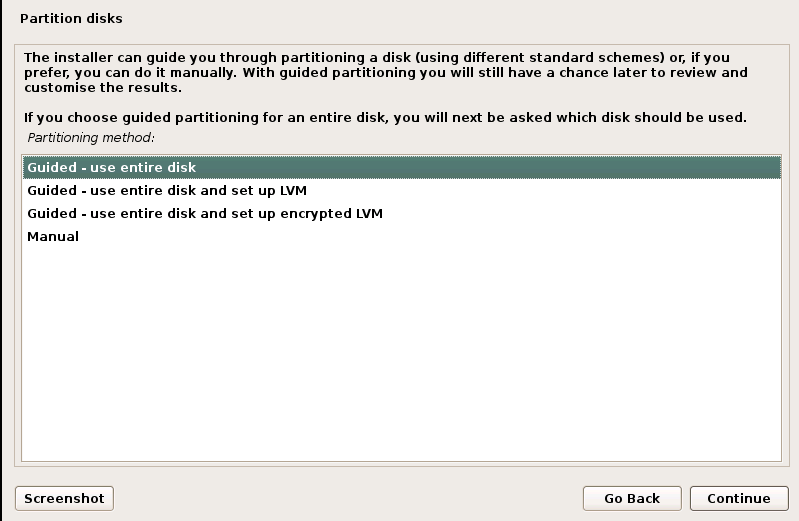 Here, In this dialogue box, you will be asked to select the disk you want to do partitioning. There should be only one option as you are seeing in the screenshot below. Choose it and click on continue. In this dialogue box, you will be asked to select where you want to install the Operating System. Select the default option i.e. All files in one partition. Now click on continue. In this step, it will show the partition you've created. 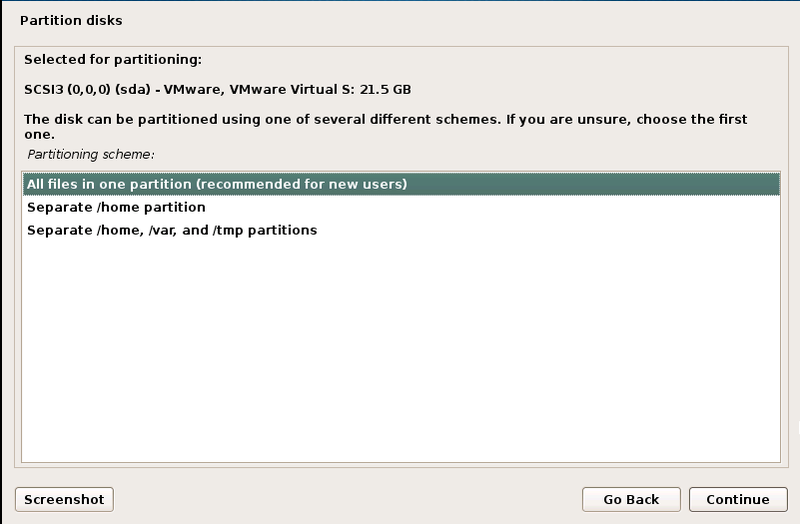 Now click on Finish partitioning and continue to the next step. 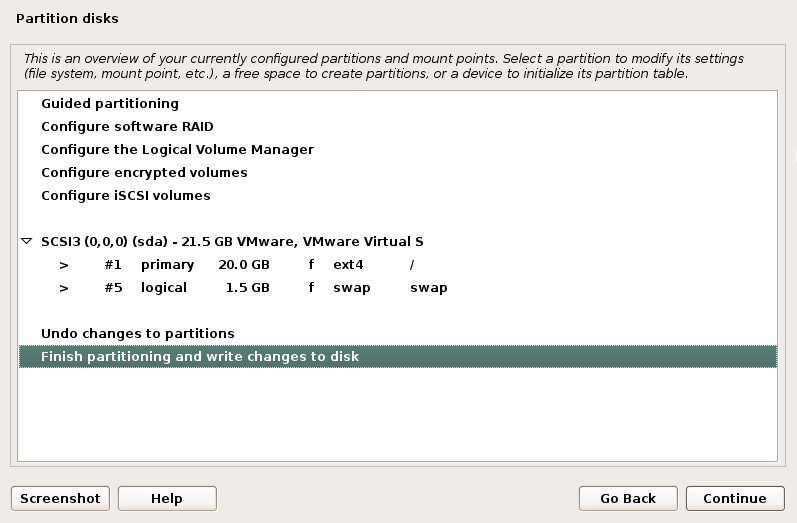 In the next step, it will ask you to confirm the partitioning. Click on yes and continue to the next step. Now the final installation processes will start. 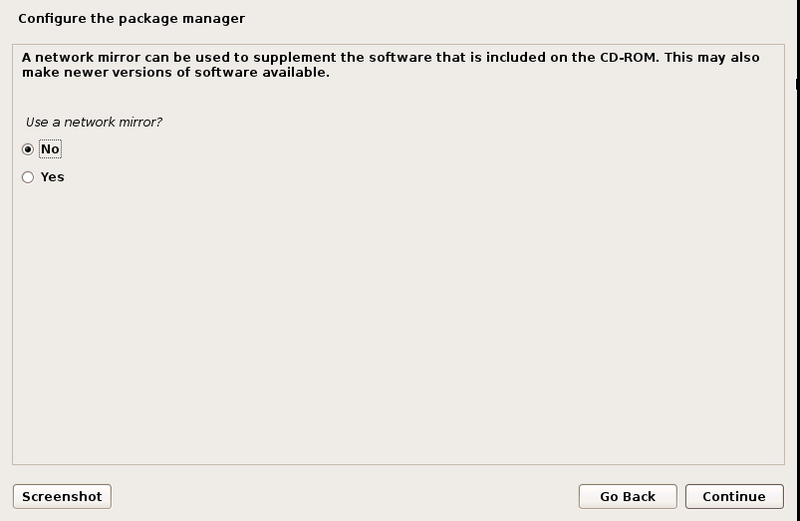 Wait for few seconds to appear the Configure the package manager dialogue box. Here you will be asked to choose the Network mirror for the package manager. But it is not necessary to set it right now. Skip this step by choosing No and click on continue. Now the package manager will be configured automatically with the best configuration. No need to worry about it. 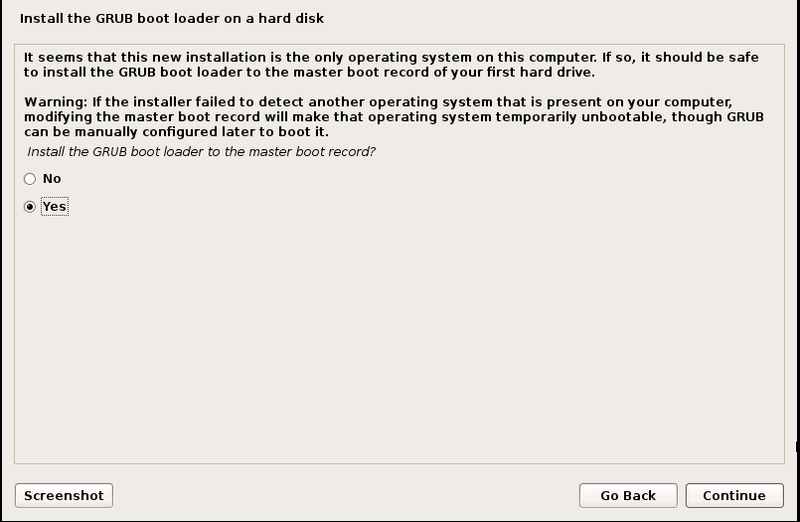 Here the system will ask you for the confirmation of installing the GRUB Bootloader in the Master Boot Record. Select Yes and click on continue. 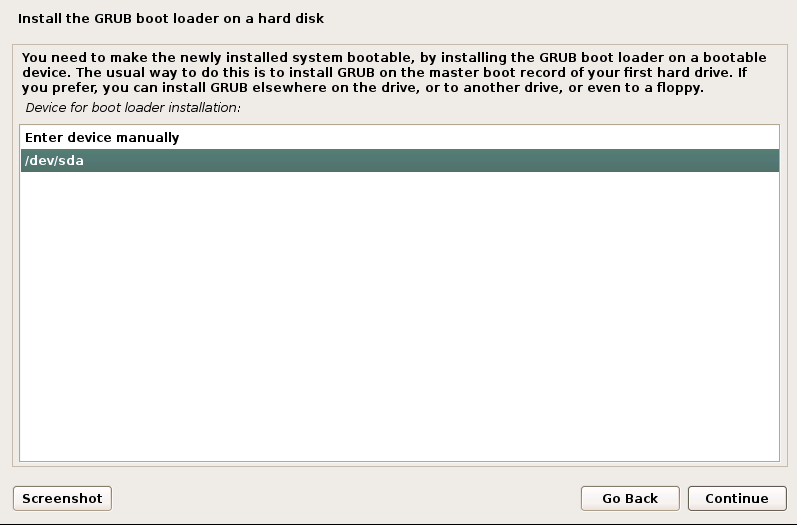 In the next dialogue box select where you want to install the GRUB bootloader. Select dva/sda and click on continue. Now the Bootloader will be installed and the next box will appear with a progress bar of finishing the installation. After a few seconds, a dialogue box will appear saying installation complete. Click on continue to finalize the installation. After finalizing the installation the VMware will reboot and you will see the login screen. Enter the Username: root and the Password: you set before. By default, the screen resolution will come 800*600 but you can change it to your wish. To do that go to Devices> Displays. 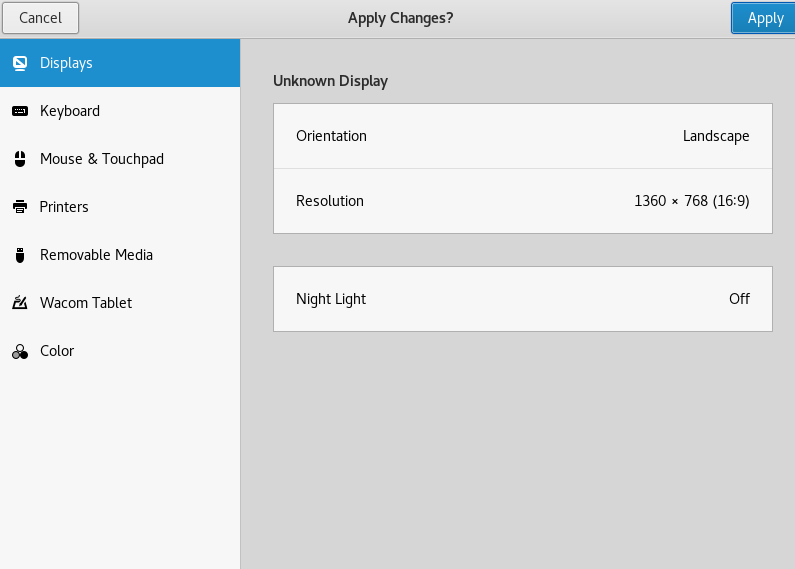 Here in the resolution option, you can select the resolution you want in the slider. Now a popup will appear with two options. They are Keep changes and Revert changes. You know which option you should select. To install VMware Tools look at the steps given below. 1. 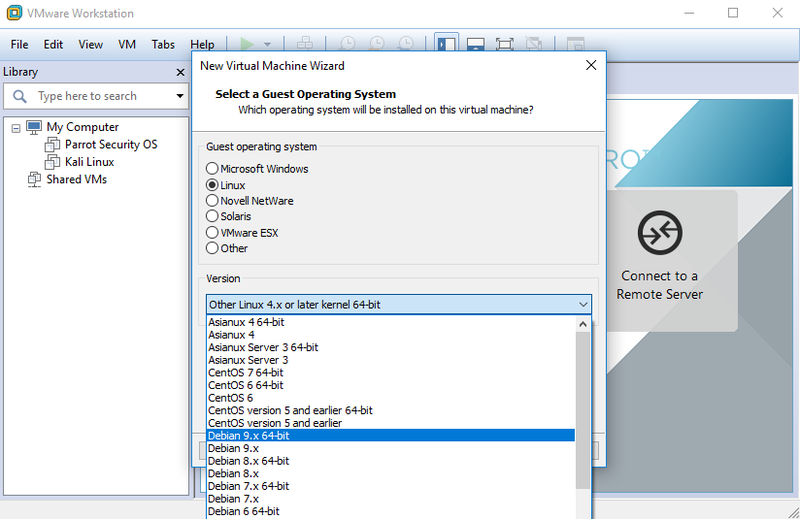 Go to the VM option at the top and there select Install VMware Tools. 2. 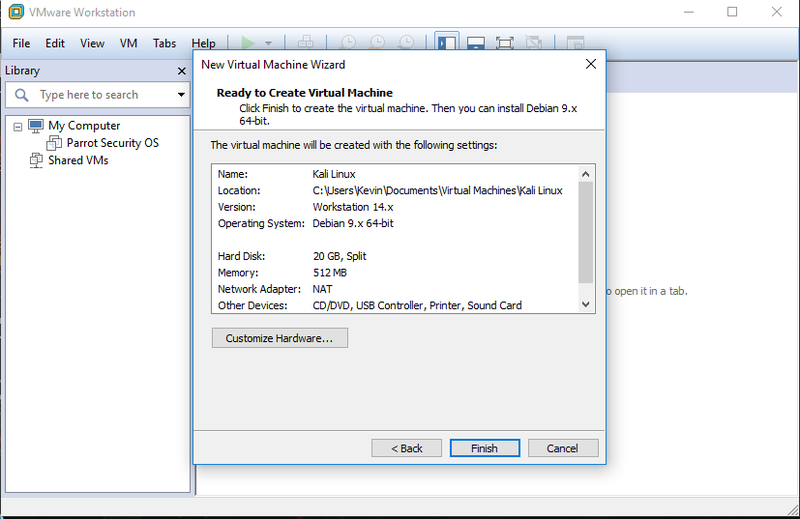 Now a popup box will appear asking the confirmation to connect the VMware Tools installer CD to the Virtual Machine. Click 'Install' and now again a popup box will appear and there click 'yes'. 3. On the Desktop an Icon will appear with the name 'VMware Tools'. Right click on it and open. 4. Inside the VM Tools CD, you will see a zip file named 'VMware Tools.........tar.gz'. Copy the file to the Desktop and extract it. 5. Go to the extracted folder and there you will see a folder named vmware-tools-distrib. Copy the folder to the Desktop. 8. Now you will be asked many questions but continue pressing Enter to set all of them to default. 9. Wait for a few seconds. After completing installation You will see a message saying ejecting the VMware tools CD. 10. Type reboot on the terminal and hit enter. It will reboot the machine and VMware Tools will be installed successfully. Congrats! you have installed VMware Tools successfully. If you have any question regarding this tutorial, feel free to ask us in the comment box below.